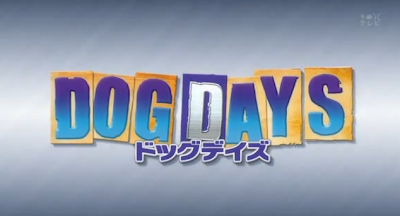 Today, we hit you with Dog Days, an original anime TV series from Aniplex and Seven Arcs. You must already know of Cats & Dogs, that live-action Warner Bros. movie with Jeff Goldblum with all the cats and dogs waging war on each other, right? Well, apparently that also equates to all those dog-eared and cat-eared people in anime. They fought in space in Asobi ni Ikuyo!, so now they take their battle to land. In the far-off land of Flonyard, the inumimi people of Biscotti (as in dog biscuits! Get it? GET IT?!) are trying to survive an invasion by the nekomimi Galette Lion army without much progress. As a last resort, the princess of Biscotti, Millhiore, summons for a hero from another world who can physically stand up to the army, and her summoner—a pet dog, no less—brings back Shinku, a middle-school boy from Earth with physical prowess way above average. Since the "war" between the two factions turns out to be more entertainment than anything, Shinku jumps without looking and decides to join Biscotti in their defense. Heard it all before, right? This is basically M.A.R. 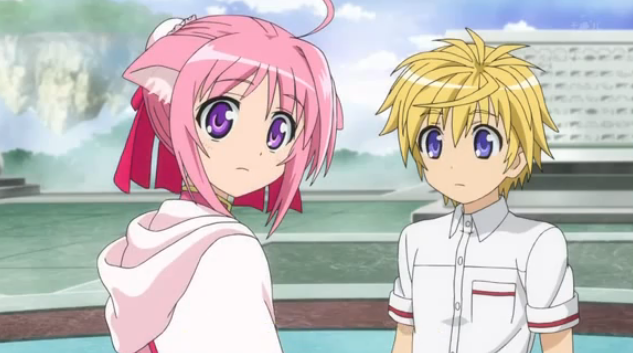 all over again, save for the suddenly-capable blonde boy being replaced by an actually-capable blonde boy. 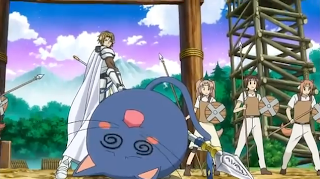 Even lamer, there's no actual "war" here—the armies traverse a course similar to Ninja Warrior, and when a faceless minion is pummeled by an attack it turns into that creepy cat-head mascot from Lucky Star. Hardly original and not really entertaining at all. The animation isn't low-grade here, but that shouldn't automatically justify it as average. 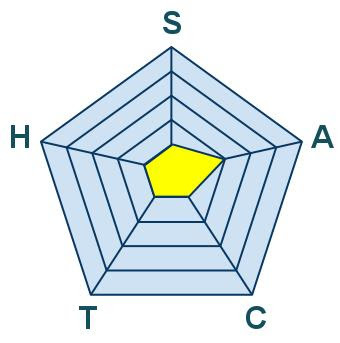 It likely would be average if it weren't for the little things—the lazy use of non-descript characters on the battlefield, the comic use of the defeated fuzzball cats, and the islands-in-the-air backgrounds, just to name a few. The true evidence of unoriginality, however, comes in the form of "Cellkull", oversized birds used for transportation. At what point can we assume that Aniplex is going to get sued for the unlicensed use of Chocobos? It's appropriate that most of the characters in this show are basically stick figures with animal ears—there is absolutely nothing special about them. 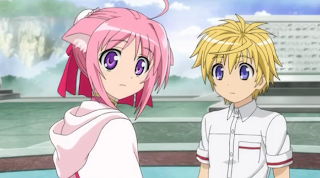 Shinku is your flawless hero, and his best friend is a twin-tailed Naru-clone minus the tsun. Millhiore is your pretty-in-pink princess leading a good-guys squadron. The enemy is comprised of a skimpily-clad warrioress leading a brigade of sports announcers and ho-hum soldiers. We've all seen the game, played it, and returned it to Gamefly. Oh, Mamoru Miyano. I thought you played a good aloof guy with positive energy in Durarara!! (Masaomi), a good mecha-piloting hero with positive energy in Star Driver (Takuto), and a good sword-weilding hero with positive energy in Kingdom Hearts (Riku). 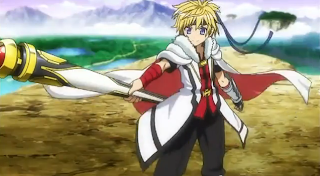 So why are we hearing your voice with another positive-energy hero in Shinku? You're type-casting yourself, pal. That being said, there's nothing special about the acting or soundtrack. I expect the CD to be in the bargain bin in your local Tsutaya Records in no time. There hasn't been too much spoken about Dog Days before the season started. Yes, you have some dependable producers in Aniplex and a decent director in Keizô Kusakawa (Sekirei, Asura Cryin'), and a lot of the staff working this show worked on Magical Girl Lyrical Nanoha, perhaps the only significant accreditation to their names. There's nothing to keep this series afloat from past achievements or even light novels. If Dog Days was a video game with a better title to it, you might get people excited about it. It would involve plenty of bloodless fighting and joystick work to get past playground obstacles you'd see on an episode of Wipeout. The animated intermissions would be slightly entertaining, and the final battle would be epic in its challenge. You'd save the country, then go back home to the hottie girl you had a crush on before you leaped through space. 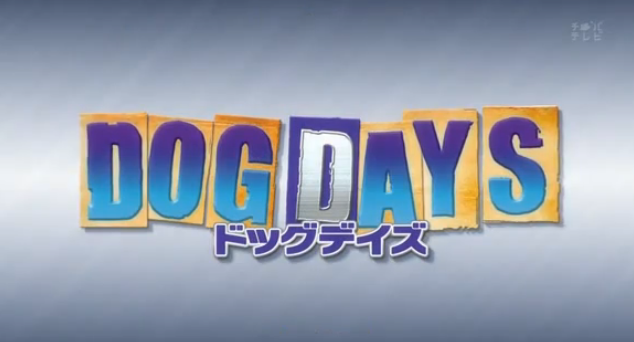 However, Dog Days is no RPG, leaving the viewer to watch a show with no real sales pitch. 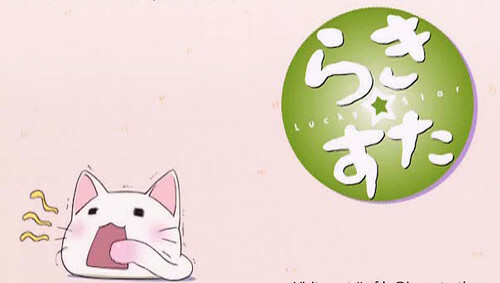 There's nothing to be amazed about, as the animation is plain, the acting is yawn-inducing, and the characters are bound to be ignored for cuter cat-eared Akihabara fare. The only things you're guaranteed to get are a bunch of self-made music videos with Florence and the Machines playing in the background. These Dog Days were over before they even started. I play and watch for the story. I thought everything I saw was good and I still do.